GroVia hybrid cloth diapers are an easy and fun way to cloth diaper your children. 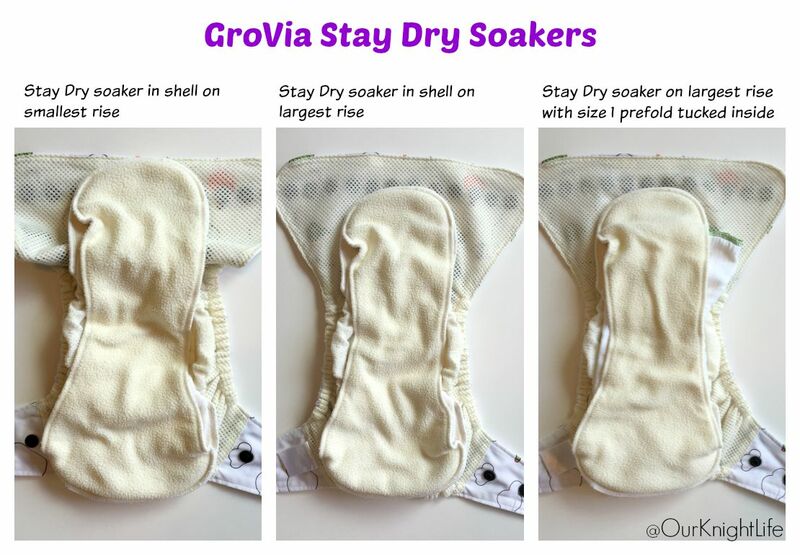 If you are looking for a simple and trim system of diapers to use GroVia is for you! 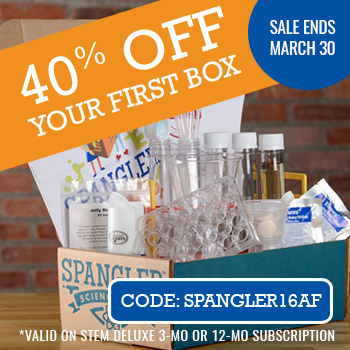 You start with a shell and then you can use any of the following inserts: Soaker pad, BioSoaker, or prefold! When you change the diaper you don’t have to change the shell, you can just replace the inside (unless it has been soiled). Shells can be used several times before being washed. We use the Stay Dry soakers and the prefolds. I would agree that the stay dry soakers are the least absorbent. However, the soakers have an opening where you can add a booster in them. This really helps their absorbency! The prefolds are very absorbent. They are our go-to night solution and we use them daily. 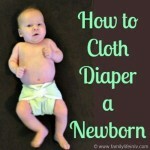 My favorite newborn cloth diaper item are the GroVia size 1 prefolds. Here is a look at the size 1, 2 & 3 prefolds in terms of size and thickness. The BioSoakers are just as good as sliced bread! I typically have a pack on hand for emergencies or rashes. The BioSoakers last all night for my 2 year hold but she is not a super heavy wetter. They do not last all night for my 9 month old who still nurses at night. I will also admit that I have laid a booster under the BioSoaker to catch any overflow! GroVia shells have 3 rise snaps. The size range is similar to other one size shells ranging from 8-30 pounds. I find that the GroVia shells are on the larger size compared to some of my other covers. They are very trim between the legs and have a very nice encased elastic. We have mostly snaps. I love that they can cross over and the snaps are very sturdy. They are larger snaps than some other diaper snaps. Occasionally I feel like I need a snap in-between but most of the time we get a great fit and rarely get leaks with our GroVia! The hook and loop is surprisingly very strong. It is not hard to take off or put on, but stays very well. The best thing about the hook and loop is that it is not sharp and there is no risk of tummy scratching. I have found these to be very trim diapers. Even with the snap in inserts or prefolds they are trim. I also like how they are a bit narrower as they fit my skinny kids well. We do not have chubby leg rolls around here. We have had very few leaks with our GroVia diapers. I have tummy sleepers and even without a PUL/TPU strip on the inside they have not leaked! We get a great fit around the legs so we don’t have issues there either! 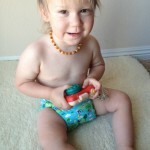 I have used my shells a few times as swim diapers and I always have to be careful because they get full of water and I have to ’empty’ them before I get the kids out! That tells you how well they hold water!! 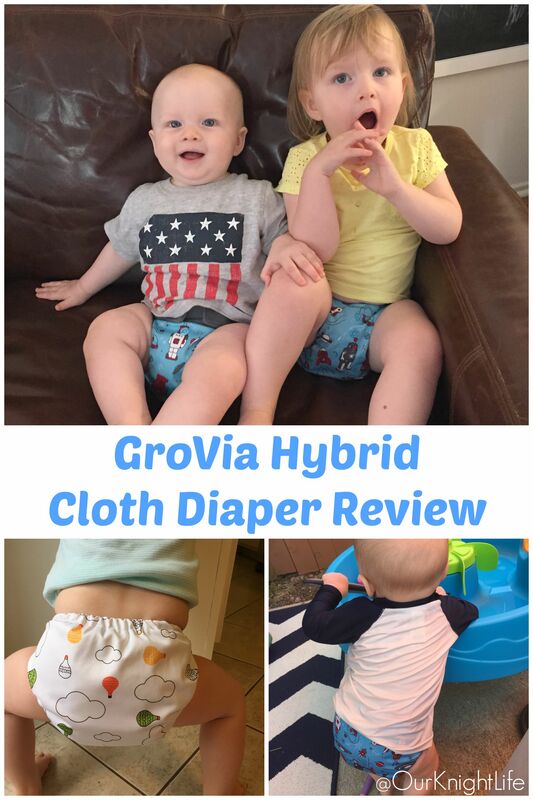 @Runoneaglewings reviews the @GroViaDiapers Hybrid Cloth Diaper for her 2 kiddos in cloth! 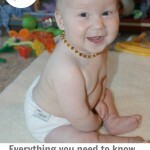 Overall: A They are so versatile for your babies needs whether night or day. You can buy the GroVia shells here. (Note that my hot air balloons shell was a limited edition!) 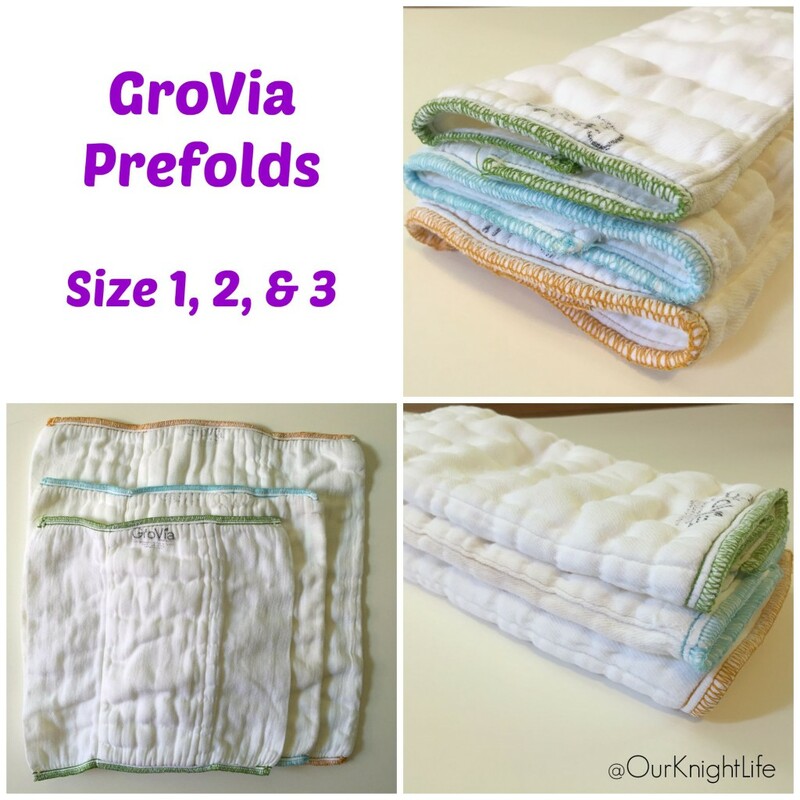 You can buy the GroVia prefolds here: size 1, size 2, size 3, & size 4! And get the Soakers here! 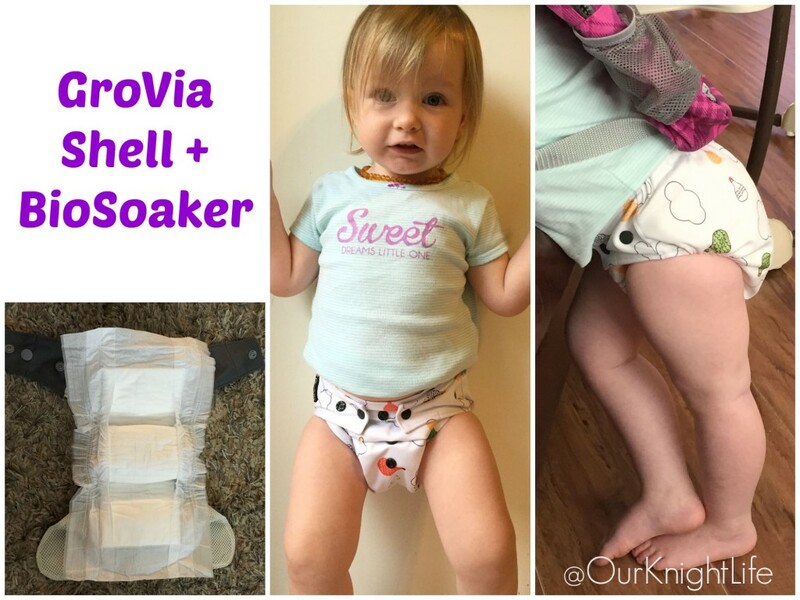 Have you tried GroVia cloth diapers? Affiliate links are used in this post. If you use my links to buy a diaper I will get a small percentage in return, which will really just allow me to buy more diapers. No product was provided for review and no compensation was given. Wow, what a thorough review, Karla! Love how you were able to try so many different GroVia products and contrast the features of each. We haven’t tried the BioSoakers yet but they seem so convenient, especially for when you’re out and about.